I am always looking for new products. 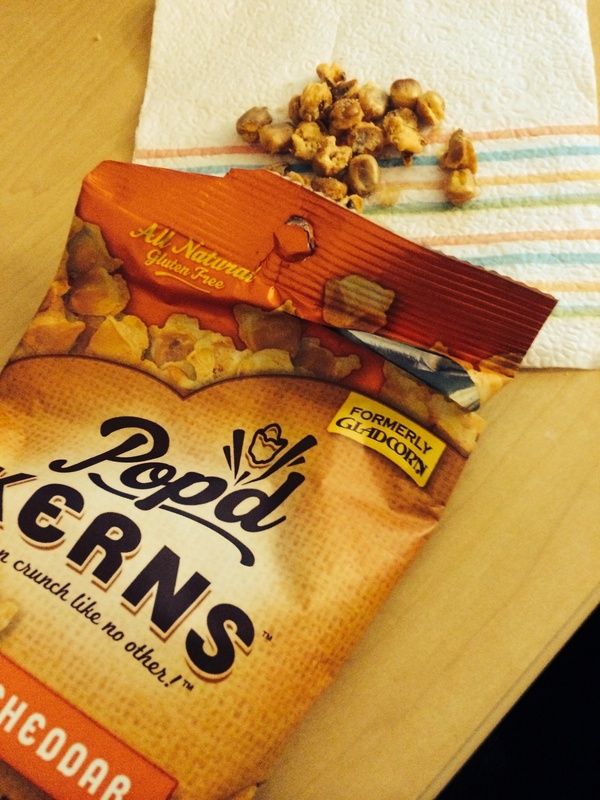 Recently I tried Pop’d KernsTM (formerly Glad Corn) and was pleasantly surprised at how good it is. 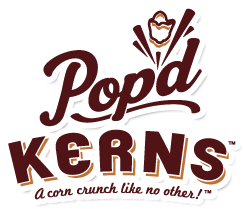 Pop’d KernsTM is an all natural corn snacks that is certain to satisfy your taste buds and tame your appetite with their irresistible combination of tantalizing taste and perfect crunch. I love the story of how Pop’d KernsTM were discovered. The tale began with a rural Minnesota farmer and his wife, regular folks living in a small, close-knit community where the man grew corn and soybeans on his family farm. This hardworking farmer also happened to be a dreamer and a problem solver. He had a desire to learn more about alternative energy sources, and this eventually led him to do some experimenting. One quiet night on the farm, he was in the kitchen working on a new ethanol fuel recipe while his wife was catching up on some reading in the living room. He stepped out of the kitchen for a moment while a batch heated up on the stove. Suddenly — KABOOM! They both came running immediately and found exploded corn all over the kitchen! Being the inquisitive type, the farmer was more interested in tasting the pop’d corn than cleaning up the mess. While it didn’t look like much, he discovered that it was about the best tasting stuff he’d ever eaten! If you would like to purchase Pop’d KernsTM you can do so HERE. You can also find it at a variety of stores nationwide. You can stay connected on Facebook. I received two bags of each flavor and would love to share with one of my readers 1 bag of each flavor. You must be 18+ US (48), DC. Leave a comment on what you like to snack on in the afternoon. Extra entry for following on Pop’d KernsTM on Facebook. Extra entry for each way you follow Kaisy Daisy’s Corner. Giveaway ends Jun 11, 2014. Enter daily for more chances to win. In the afternoon, I often snack on seasonal fresh fruit. I like snacking on popcorn and also anything salty. I like to snack on anything that is sweet or salty. Gives me a boost till dinner time. I will be honest I love to snack on chips in the afternoon but I don’t eat them every afternoon. My husband would love this !! I always get hungry in the late afternoon at work and these would be a great snack! 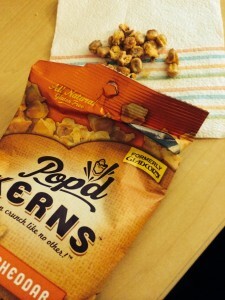 I would LOVE to try the cheddar and BBQ flavored Popd Kerns! They look delicious! Thank you so much! I like to snack on crunchy things like chips and pretzels. We have Friday popcorn paydays at work and it really makes the day the best! Anything salty! Tomatoes with salt or even potato chips. I like to snack on dried fruit during the day. Im into cruncy things like cornnuts. I like my popcorn like my language…..salty! I ate tortilla chips today but prefer your popcorn! I try to eat veggies and dip. Lately, I snack on smoothies. Anything very very crunchy,even celery. I like to snack on peanut butter chocolate granola bars in the afternoon.